In 1991, Vekoma evolved the Canyon Trip into the Waikiki Wave. 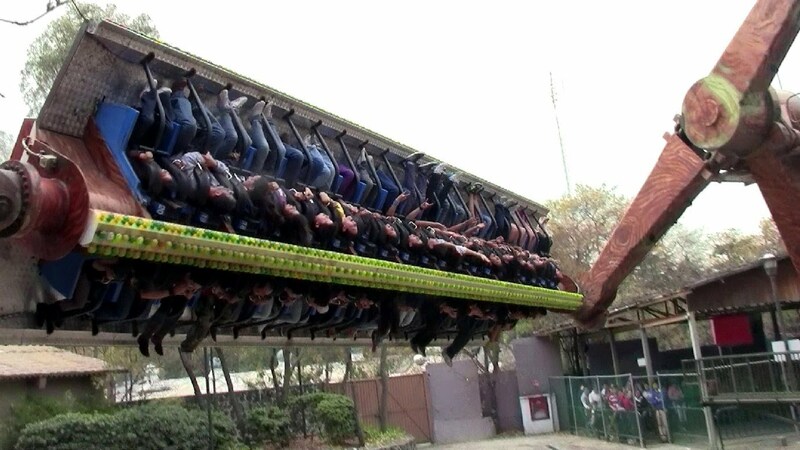 The car was changed to have 20 riders sit on each side of a long gondola. They would face opposite ways and unlike the Canyon Trip, one of the arm was bent, allowing unusual whipping motion. The bent was not fixed like on other manufacturers and had hydraulics, that allowed for more precise control over the car. 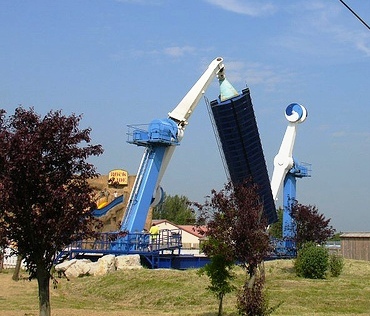 This version was not designed to flip riders upside down and instead relied on the very unique forces exerted on riders. 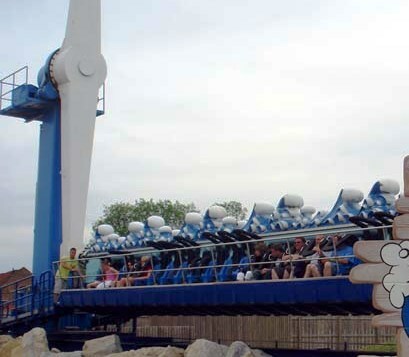 Riders were restrained by the standard Vekoma shoulder restraint. 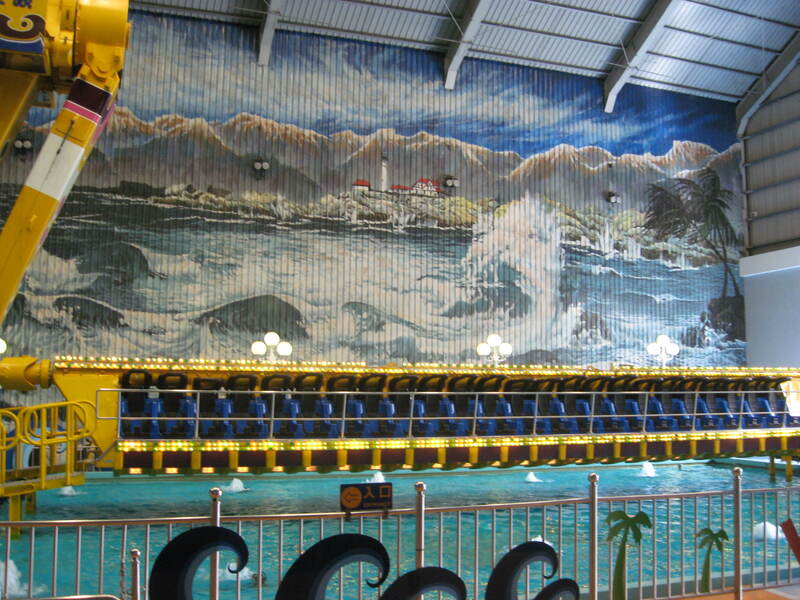 The first one to open did so in 1991 and would appear to be the one at Lotte World (Seoul, South Korea) as the Waikiki Wave. Two more followed in 1992, the only US installation was at Kentucky Kingdom (Louisville, KY) where it ran as the Quake until 2004. 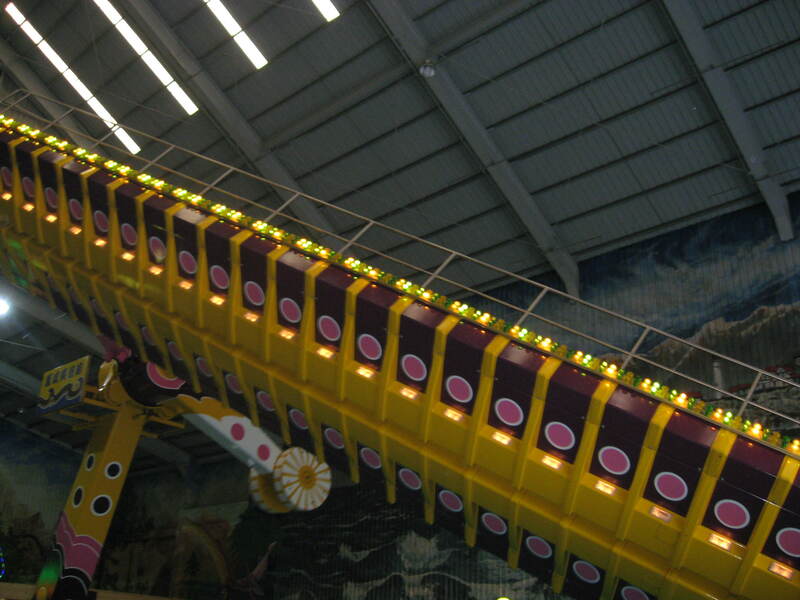 The other one was installed at Formosan Aboriginal Cultural Village (Yuchi, Taiwan) inside the Aladdin’s Kingdom indoor section, alongside the Space Mountain MK-700 roller coaster. It was removed in 2013. 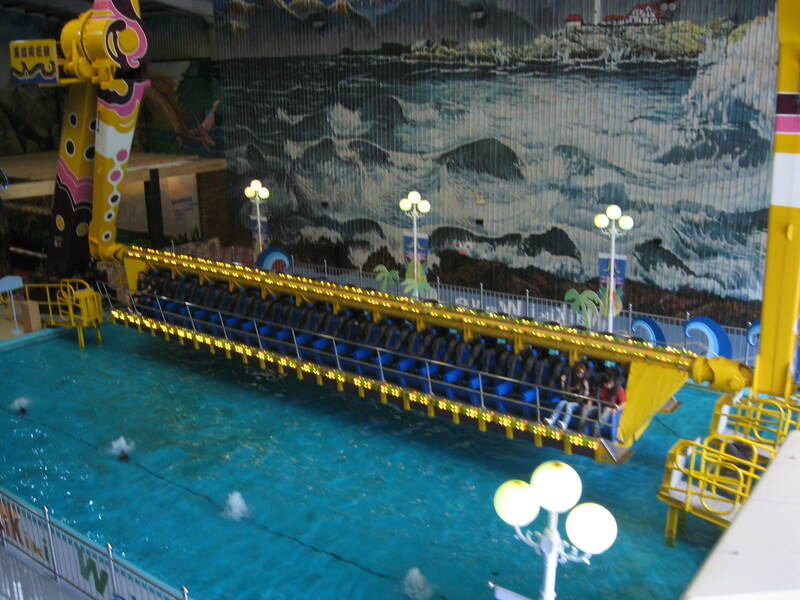 It was previously presumed that no Waikiki Wave were currently operating, but a still operating Waikiki Wave was discovered at Suzhou Amusement Land (Suzhou, China) and a second one at the Uzexpocenter in Tashkent, Uzbekizstan. . One major point of contention that forced its removal from notably Walibi Flevo (Flevohof, Netherlands) was the loud noises the ride made when it was operating. The Quake at Kentucky Kingdom. Pictures appear courtesy of www.negative-g.com . The Waikiki Wave at Formosan Aboriginal Cultural Village in mid motion. The 3 photos show the ride during load. Notice the hinged arm is bent inward. 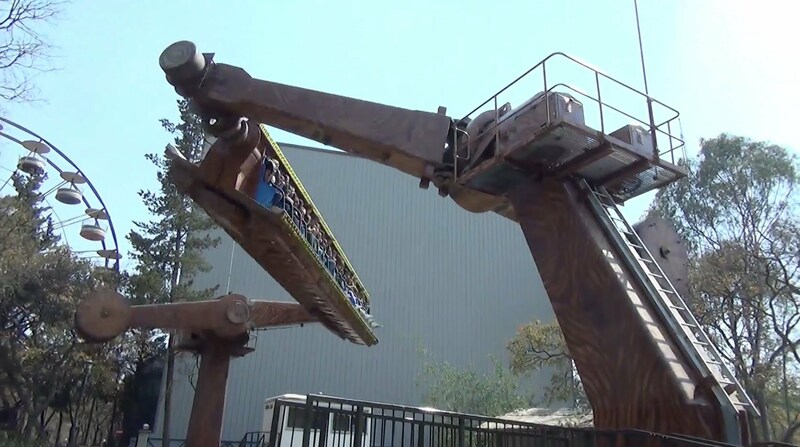 During the ride, it will bend outward and cause the motions. This would appear to be a European Waikiki Wave. In late 1993, Vekoma evolved the Waikiki Wave with a modification to the ride car. Brakes were added to the passenger gondola and this, along with new programs allowed inversions. 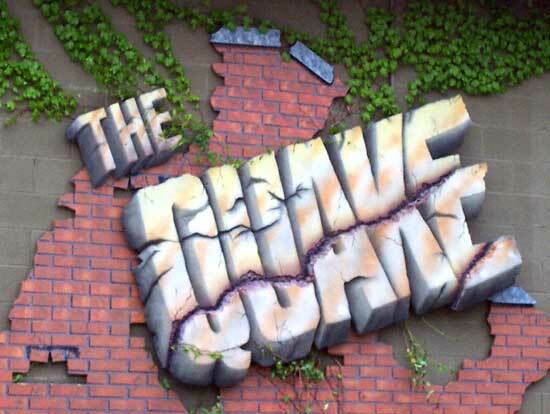 This literally made the ride a legendary one, as very intense programs were now possible. Restraint wise, in addition to the shoulder restraints, a small T shaped lap bar was added to secure the riders during the inversions. The ride is still a very popular crowd pleaser at both Dreamworld (Coomera, Australia) where it operates as the Wipeout and Six Flags Mexico (Mexico City) where it still operates as the Huracan to large crowds. The Huracan at Six Flags Mexico. You can see where it can go upside down and the additional T bars. Pictures appear courtesy of www.coasterforce.com . 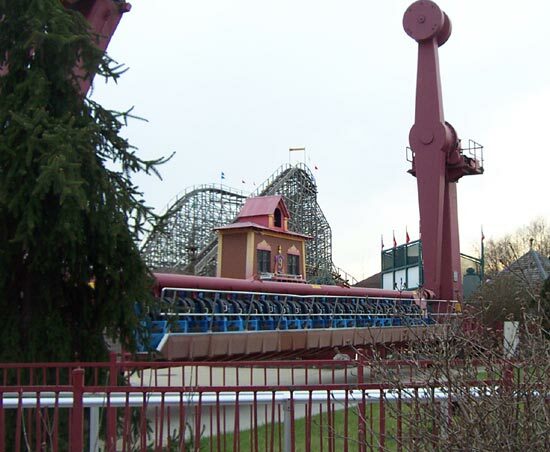 The Quake, Kentucky Kingdom (standard), removed in 2005. Waikiki Wave, Formosan Aboriginal Cultural Village (standard), removed in 2011-2012. 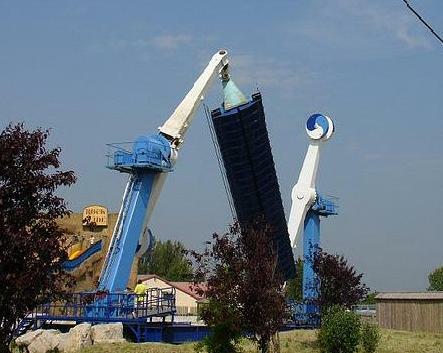 Tidal Wave, Flamingoland (standard), removed in 2008 for Mumbo Jumbo El Loco roller coaster. Huracan, Reino Aventura/Six Flags Mexico (Super Flip), still operates near Medusa Steel Coaster. Wipeout, Dreamworld (Super Flip), still operates over a lagoon. Waikiki Wave, Walibi Flevo/Six Flags Holland/Walibi Holland (standard), removed after 1999 season and replaced by Six Flags with a standard Huss Top Spin. Tifon, Port Aventura (standard), removed in 1998. Wave, Uzexpocenter in Uzbekistan (standard), still in operation. ?? ?, Fuji-Q Highland (standard), removed for the Tondemina Huss Giant Top Spin in 2004-2005. Luna Swing, Space World in Japan (Super Flip), removed in 2007 and was near the Venus Roller Coaster. Mitsui Greenland and Glucks Konigreich in Japan as well as “Susung Land” in South Korea are listed as having Super Flip versions, but we are unable to find any infos on them. 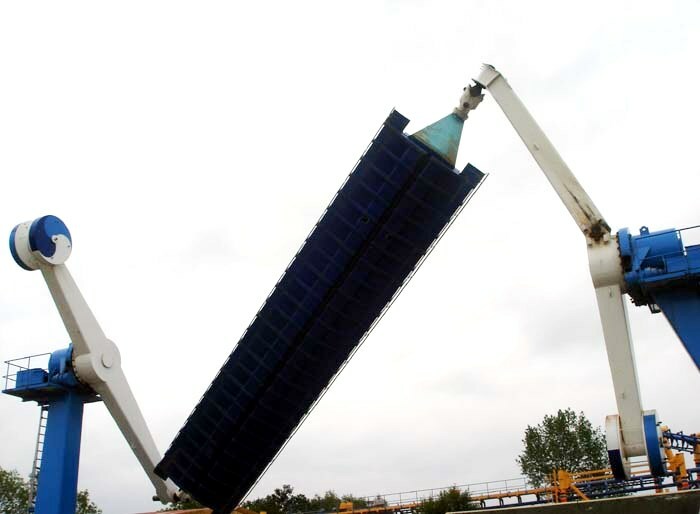 The one at Mitsui Greenland in Arao was already removed in 2009. 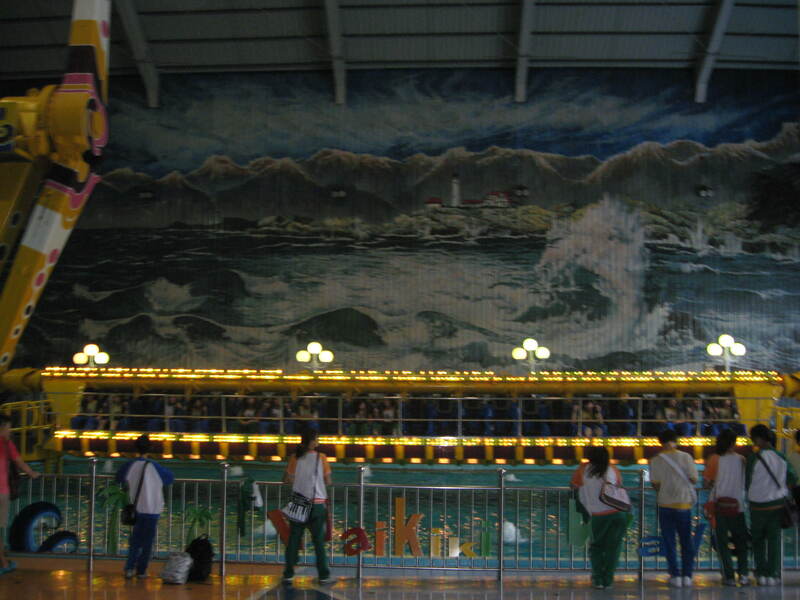 A standard Waikiki Wave was sold to Uzexpocenter in Uzbekistan. 1995 is a good possibility as a Vekoma Boomerang also opened at that park the same year, so it could have been a package deal. Suzhou Amusement Land in China is generally believed to have opened in 2003 and it opened with a standard Waikiki Wave. Was this relocated from Walibi Flevo or Port Aventura or a new build? The ride does not appear on any Vekoma reference list from around that period, so we are unsure as to where the ride came from.